168. 19TH. 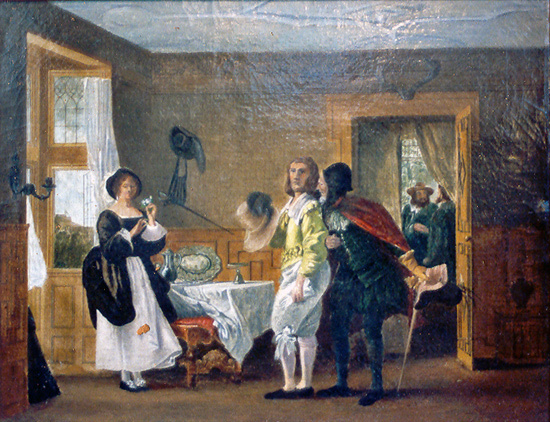 CENTURY OIL ON CANVAS OF AN INTERIOR SCENE"THE CONFIDENCE"
AS ONE MAN WHISPERS TO ANOTHER. PROBABLY FLEMISH. RELINED. FRAMED SIZE: 26 1/2 X 22. UNFRAMED SIZE: 21 1/2 X 15 3/4 INCHES.